Flight1 GTN750 implementation for the Alabeo C400 Corvalis TT. 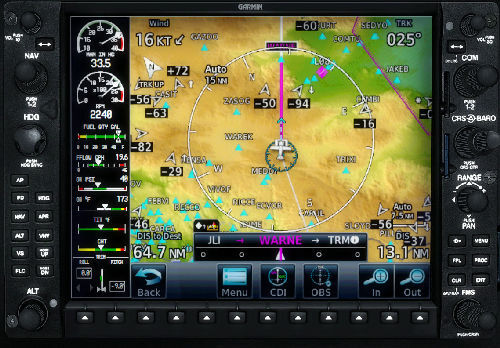 It replaces the original virtual cockpit MFD with the GTN 750 touchscreen, while retaining the Engine Information System sidebar. 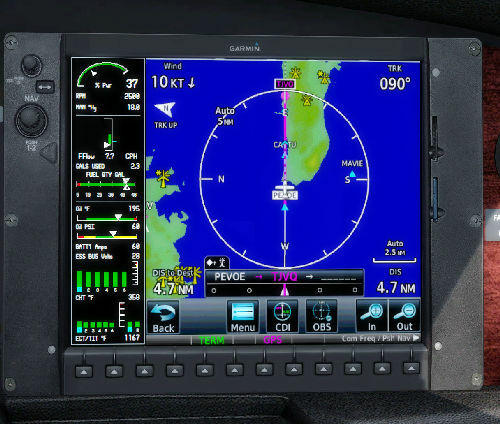 The EIS sidebar has been recoded so as to remove interference with adjoining GTN display, and resized and positioned so that the GTN screen display fits tight without any gaps between the bezels and the gauges for a seamless, integrated look. By Jorge Rexach. This is an updated Flight1 GTN750 implementation for the Alabeo DA42 Twin Star V2 for FSX, FSX_SE and P3D, incorporating updates to panel configuration files to fix problems with VC Knobs and buttons. It replaces the original virtual cockpit MFD with the GTN 750 touchscreen, while retaining the Engine Information System sidebar. 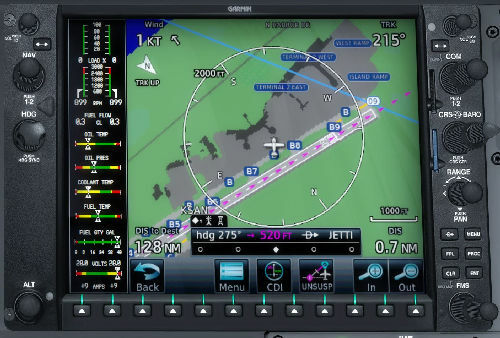 The EIS sidebar has been reworked to remove gauge element interference with adjoining GTN display, and has been resized so that the GTN screen display fits tight without any gaps between the bezels and gauges for seamless integrated look. This is a Flight1 GTN750 implementation for the Carenado SR22 GTSX Turbo. It replaces the original virtual cockpit MFD with the GTN 750 touchscreen, while retaining the Engine Information System sidebar. The EIS sidebar has been reworked to remove gauge element interference with adjoining GTN display, roll and pitch trim popup gauges and a fuel gauge were added, and all gauge elements have been re-positioned so that the GTN screen display fits without any gaps between the bezels and the gauges for a seamless, integrated look. All buttons have been reassigned and coded within the gauge, and the GTN 750 can be fully accessed in the virtual cockpit. By Jorge Rexach.